Anne Thuot's starting point is the body, her own - She considers it as a whole, without gaps or divisions - She says: 'my body thinks because it feels'. Anne Thuot is searching for a more intense and immediate experience, confronting herself with territories where her white skin, blue eyes, and her female gender do not all together form a common, a priori profile. She wants to disturb: to be where she’s not supposed to be, where supposedly there is no space for her. Playing with the anthropological posture, Thuot breaks down the habits and social relations of a specific geographical perimeter (a street, a bridge, a school etc.). She is particularly interested in those mechanisms that generate fear and settle in the deepest parts of the human being. She therefore questions the idea of “encounter”: how can one enter in contact with someone who is different, and belongs to a space whose codes and rules one ignores? Thuot is her own object of study: she puts herself in situations that are sometimes risky in an attempt to unblock certain social relations and reach an understanding of some of the political issues affecting us today. Anne Thuot interrogates the principle of representation. How to convey all her of her wanderings? How to share her experiences in an accessible and playful way? What place should fiction take in this process? For Thuot such a project means questioning form, beauty, as well as her relation to the sublime which she has inherited from western culture. It also means questioning the images of pain by which she is surrounded everyday. These creative ‘immersions’ or ‘investigations’ are presented to the public in the form of performative conferences of which Thuot is the lecturer, solo or with her eventual collaborators. The forms she proposes are light in terms of length and technique. They can eventually be supplemented by after-talks or workshops where the spectators are invited to experiment themselves with the research processes she has performed on stage. 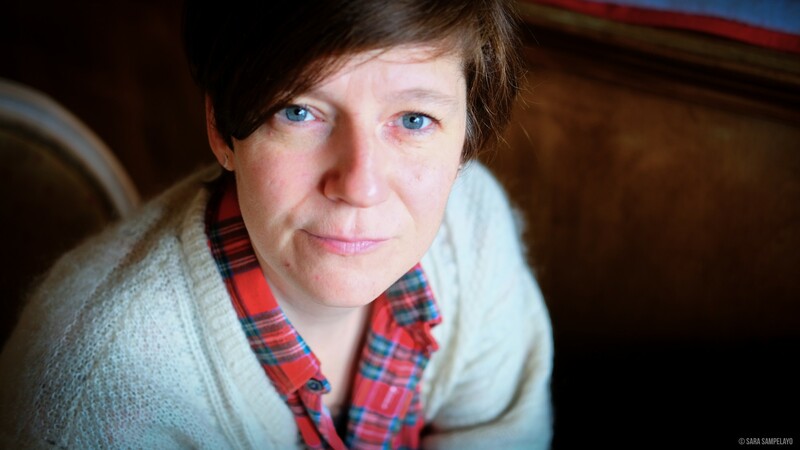 Anne Thuot has been working in Brussels as a performer and theater director since many years. She has collaborated with both French and Flemish speaking companies, among whom the collectives Dito’Dito, Transquinquennal, or the choreographers Hans Van den Broeck and Jérôme Bel.